The world of the Amish is no frills, they make what they need and live a life that is pure and simple. They however theses days make things to sell so that they can get money to buy things that can not be made... The Amish ladies are amazing stitcher's and I would love to go to the part of America where they live and buy a small Amish quilt... it is on my bucket list! They make things for their homes and for their family. Dolls for the children to play with and of course quilts. 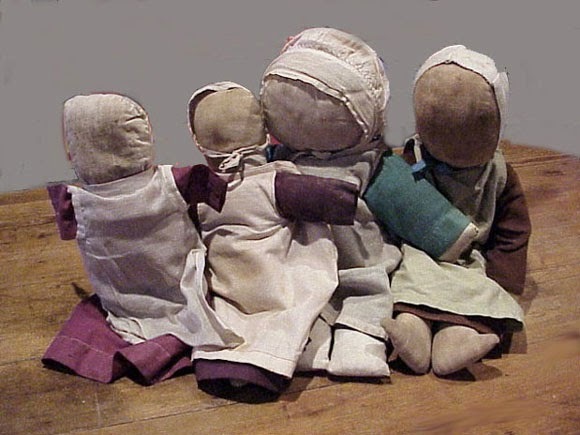 An Amish doll is best described as a plain rag doll usually lacking physical features of a face or hair. It is also thought that a face on a doll makes it appear more worldly, which is not considered acceptable among the Amish. Not all Amish dolls, however, are faceless. Clothing on Amish dolls is similar to that worn by Amish children. Both girl and boy dolls are common; Amish children do not have a lot of toys, so both boys and girls play with the dolls. Fabrics are all solid coloured. The doll body is commonly made from white or cream fabric, such as unbleached muslin, since the materials traditionally used to make the dolls are remnants from clothing made for family members. Faces were often made of oilcloth. The stuffing was traditionally rags, but usage of cotton, or in modern days polyester batting, is also common. Amish quilts are reflections of the Amish way of life. 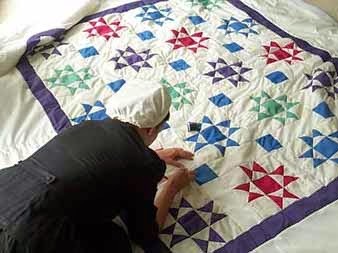 As a part of their religious commitment, Amish people have chosen to reject "worldly" elements in their dress and lifestyle, and their quilts historically reflected this. Traditionally, they typically used only solid colours in their clothing and the quilts they intend for their own use, in community-sanctioned colours and styles. 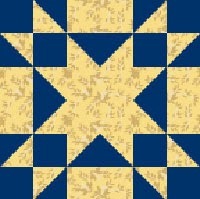 In Lancaster Pennsylvania, early Amish quilts were typically made of solid-coloured, light weight wool fabric, off the same bolts of fabric used for family clothing items, while in many mid western communities cotton predominated. Although classic Amish quilts appear austere from a distance, the craftsmanship is often of the highest quality and feature lush quilting patterns that contrast with the plain background.prized among collectors and quilting enthusiasts. Antique Amish quilts are among the most highly sort after and collectors will pay an awful lot of money for them. 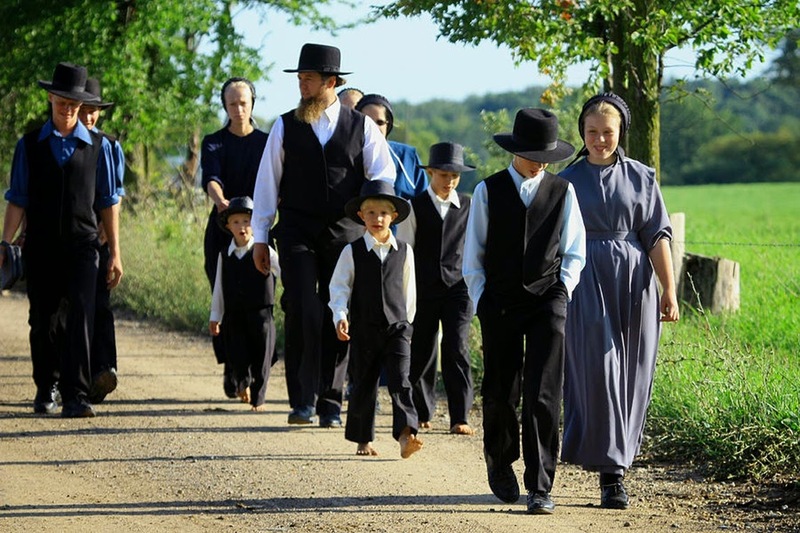 The common theme among all Amish clothing is plainness; clothing should not call attention to the wearer by cut, colour, or any other feature. Hook and eye closures or straight pins are used as fasteners on dress clothing rather than buttons, zips, or Velcro are used on everyday clothes, and plain buttons for work shirts and trousers. The historic restriction on buttons is attributed to tradition and their potential for ostentation.In all things, the aesthetic value is plainness. Some groups tend to limit colour to black (trousers, dresses) and white (shirts), while others allow muted colours. Dark blue denim work clothing is common within some groups as well. The Old Order Amish often sew their own clothing, and work clothing can become quite worn and patched with use. Women wear calf-length plain-cut dresses in a solid colour. Aprons are often worn at home, usually in white (typically for the unmarried) or purple or black (for the married), and are always worn when attending church. A cape, which consists of a triangular piece of cloth, is usually worn, beginning around the teenage years, and pinned into the apron. In the colder months, a long woollen cloak may be worn. Heavy bonnets are worn over the prayer coverings when Amish women are out and about in cold weather, with the exception of the Nebraska Amish, who do not wear bonnets. Girls in some areas may wear coloured bonnets until age nine; older girls and women wear black bonnets. Girls begin wearing a cape for church and dress up occasions at about age eight. Single women wear a white cape to church until about the age of thirty. Everyday capes are coloured, matching the dress, until about age forty when only black is used. Men typically wear dark-coloured trousers, some with a dark vest or coat, suspenders (in some communities), broad-brimmed straw hats in the warmer months, and black felt hats in the colder months. However some, mostly teenagers, may deviate from these customs to convey someone's individuality. Married men and those over forty grow a beard. Moustaches are forbidden, because they are associated with European military officers and militarism in general. A beard may serve the same symbolic function, in some Old Order Amish settings, as a wedding ring, and marks the passage into manhood.